Hey, DeathRef Gentle Readers. Meg Holle, Resident Zombie, here (yup, that’s me up top). As an undergrad at the University of Minnesota, my favorite class was “Monsters, Robots and Cyborgs,” offered by the Cultural Studies and Comparative Literature department — probably unsurprisingly, the same weirdos who gave John his Ph.D. in Dead Bodies. When I wasn’t deconstructing explosive alien birth scenes, asking, “Do androids dream of electric sheep?” or linking the puking, peeing, pustulated, bleeding, crucifix-masturbating girl in the Exorcist to Mary Douglas’ Purity and Danger, I was learning about zombies. Fast zombies, slow zombies, Haitian zombies, zomaggedon, mass consumption, consumerism and Marx. Battling zombies is like battling anything … or everything. While there’s no arguing with the mindlessness of modern-day life, Klosterman would have done well to explore more in depth the alternating popularity of zombies and vampires. Vampires peak during economic prosperity — democrats and decadence, soul-sick in opulence, when the only thing wrong with everything is our megalomaniac selves. Zombies, on the other hand, embody the times when everything is wrong with everyone else — waterboarding, bailouts and unemployment. Of course there is overlap. Marketing works wonders, and fake opulence or the hope thereof (e.g., the first two years of the Obama administration) still counts, and it’s not like those wars ever actually went away. But still. There is more to our monsters than the new black being the old black, unlike the old old black… which is also… coming… back. 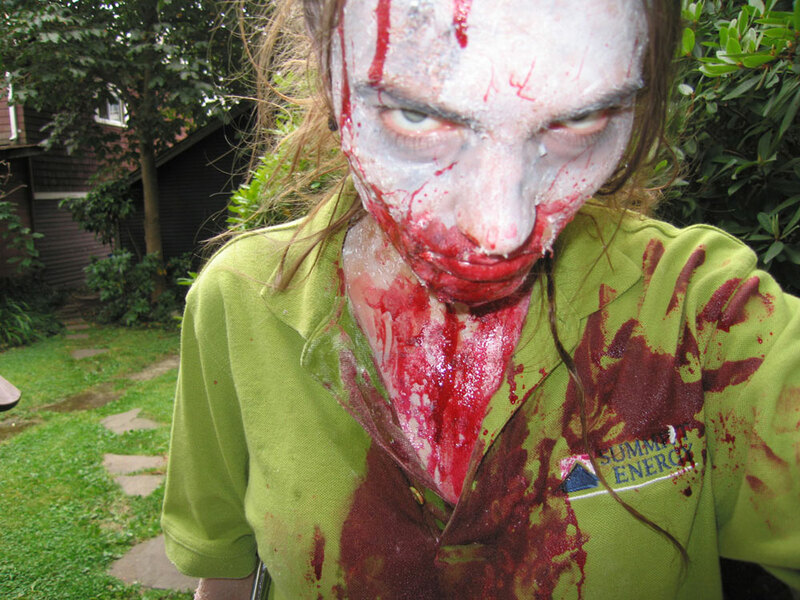 Zombie Meg signing off — BRAAAAAAAAAAAAAAAAAAINS! Posted by Meg Holle in Death + Humor, Death + Popular Culture and tagged zombies. Bookmark the permalink.